Detroit is known as one of America’s coldest cities during the winter, and locals have to depend on their heating systems for warmth. 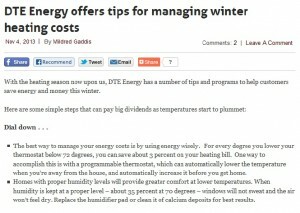 To optimize these systems’ efficiencies, however, it is important to retain the heat from furnaces or heat pumps inside the homes, and block out the cold air from outside. 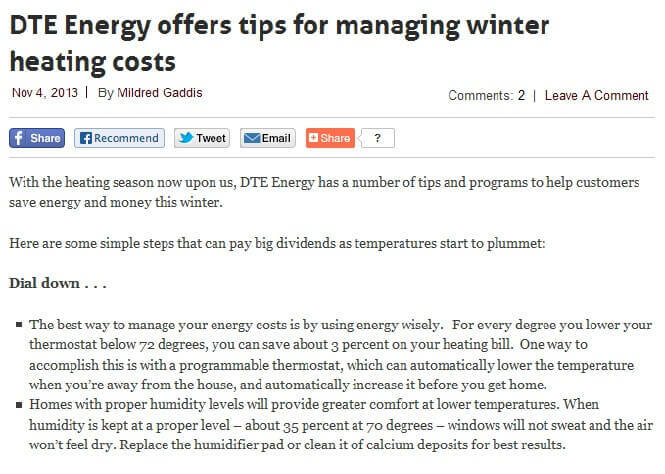 Mildred Gaddis offers some tips on how to do this in Wchbnewsdetroit.com. Keep the cold air out. . .
Seal windows and doors with caulk and weather stripping to block unwanted drafts. If caulk cracks and peels away, it allows your home’s heat to escape. Install a fireplace door to prevent cold air from entering your home. Be sure to close the damper unless a fire is burning. Keeping the damper open is like having a window wide open during the winter. However, if you have a gas fireplace, the flue should be partially open to allow fumes from the pilot light to escape. Use kitchen, bath and other ventilating fans wisely. In just one hour, these fans can pull out a houseful of warm air. Turn fans off as soon as they have done their job. Sealing windows in Detroit may be done by professionals, or by homeowners as a do-it-yourself project. Those who wish to seal their windows and doors on their own have to use the right caulking product to do the job properly. Some non-professionals, however, may not be aware that there are different types of caulking products that work with specific window materials. Silicone sealants, for instance, are suitable for glass materials but not for wood; epoxy-based sealants, meanwhile, work best with wood materials. There are times, though, when sealing windows with caulk barely helps to keep heat inside the home and turn away freezing temperatures from the outside. This is true when the windows have extreme warping or cracking in the frames, or when the glass pane itself is broken. In such cases, it may be smart for homeowners to consider vinyl replacement windows in Michigan. These windows are composed of polyvinyl chloride materials that result in a high R-value. R-value refers to the windows’ ability to resist heat flow — the higher the R-value, the more powerful the window’s insulation level is. In a Detroit home, this means warm and comfortable temperatures during winter. To achieve the right indoor temperatures, it is important to retain heated air inside the home. Sealing windows with caulk can help, but if a window has been extensively damaged, it may be time to have it replaced by window specialists such as those from Kroll Construction.